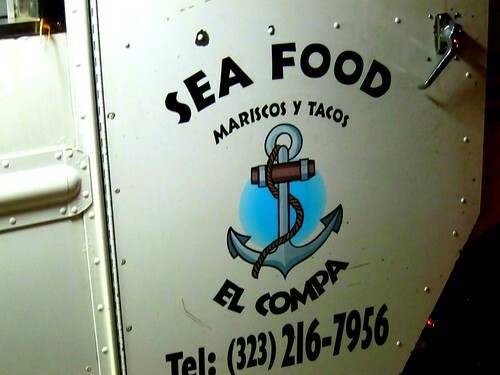 The former owners of Tacos Don Jorge, which closed a couple months ago, are back with a new taco and mariscos truck . The menu goes pretty deep with everything from shrimp cocktails to tostadas to shrimp dorados and your standard soft tacos of asada, al pastor,and carnitas. On the second night I was more in a carnivore kind of mood and went with carne asada, al pastor, and carnitas. Tacos are $1 each and you garnish them yourself from the tubs of salsa. The carne asada was greasy and delicious, complimented perfectly by the hotly spiced salsa roja. The carnitas and the salsa verde were a good match; the salty pork played well the the sweetness of the tomatillo. The al pastor was a little sweet and oniony, and probably would have gone better with the salsa verde. 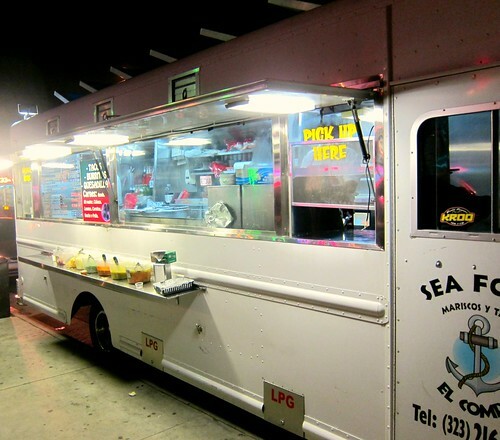 This stretch of Venice Blvd has quite a few taco truck options at night now between Tacos El Gallito and Garcia Bros but my money is on El Compa. There’s a lot of variety here and not only are the meat tacos much better than the competition, there's nothing like the shrimp taco anywhere nearby. Just went out tonight. I had tacos de asada (2), al pastor (1) and shrimp (1). My fiance had carnitas (5). The shrimp taco reminded me of a taco de papa. The tacos and salsa were great. I'd definitely go back. Thanks for the recommendation. Is this truck still there? I have gone to el Gallito down the street several times, but I have never seen this one? 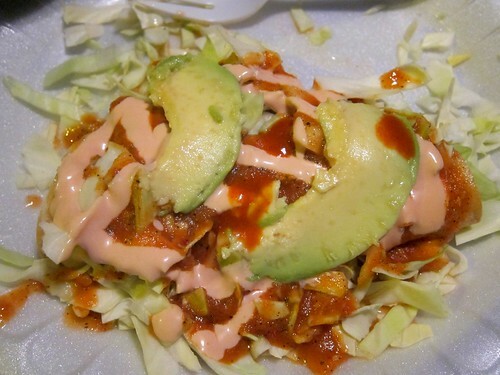 Amo los tacos y los mariscos. 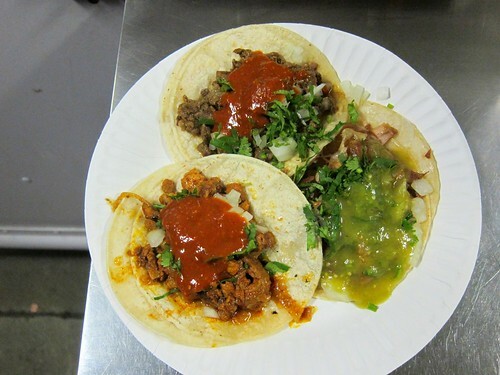 I love the tacos , Its so delicious ! Anyone know what happened to El Compa? No really , Do any ?